With the hundreds of web hosting companies on the internet, which one should you choose? With the packages of web hosting options and features they advertise, it may be hard to pick just one. Knowing a little about each one can help you narrow down your choices for your website. The more the better right? Not exactly. Having a lot of disc space is wonderful, but not necessary. An average website uses around 50 MB and a large website could use 2 GB. It comes down to how many pages and what type of multimedia files you are using. Hosting images, videos, and documents can take a lot of disc space. Your website coding files won't take much space to store. Try to think of what you might need for your website, remember to think down the road. Don’t pay extra for space that you don not need. There are lots of companies that offer unlimited web hosting for their shared servers. How many uploads, downloads, and traffic requests are you going to have in a month? Lots, little, not sure. When looking for web hosting watch for how much data you can transfer in a month. This could get very expensive if you exceed the quota or worse your site could be suspended. A new website won’t have any problems as a few hundred users a day won't cap out any hosting plan. Keep in mind if your website starts to expand and increase in visitors. A big e-commerce store has to be aware of their bandwidth. Visitors viewing banner ads, product images, and review videos will increase your bandwidth fast. Depending on your site's traffic and resources, bandwidth could be a concern or an afterthought. Most shared hosting companies will give you a free domain name if you sign up for their plans. That is always a nice perk, but I'm talking about the number of domain names you can host on one account. You have a main webpage, but you want to have smaller sites that will require a unique domain name. Some web hosting companies limit how many unique domain names you can have on one site. Depending on your plans, this could cause some extra charges in the future. I don't see why they should limit on how many websites you can have on your hosting account. If you have the disk space and bandwidth, there shouldn't be a problem. But some companies do have limits, so beware. It looks professional if you and your co-workers have their own email account from your business' web page. Having an easy to use web hosting control panel can help you manage this tedious tasks. Like domain hosting, there can be a limit to how many email account you can have. Do a quick estimate and compare to what is allowed. Most have unlimited email hosting but do a double check. All hosting companies will give you an out of box email service that is synced with your domain's emails. In all reality, they are ugly with poor interaction and features. It;s better to forward your account to a popular email service or use a mainstream email client. If you are planning to have databases make sure the web hosting company can support it. Most Linux base server will always have MySQL supported. If you are planning on having multiple sites with content management system and/or e-commerce. You can put them all in one database, but it's better to separate your databases. Check your host and make sure they have options for more than one database. These web applications are quick and easy to use. This could be a valuable source for those who don't have a strong background in web development. It no only saves time, but money. Most, if not all, web hosting companies have some sort of application installer. Check their customer support hours and availability. See how you can contact them if your site goes down or if you have an urgent problem. Knowing you can reach them by phone or email gives you peace of mind. Most web hosting companies started implementing live chat that can get you in and out. Web hosting support can be a headache or a lifesaver. If your server goes down or there is a front-end error. Getting a quick response with a knowledgeable support representative can be priceless. Having extra support languages gives yourself the option to learn something new. Another nice thing to check is what version they are currently supporting. You don't want to fall behind and use a language that is on its end of life. This section is something you can put at the back of your mind. Because you can always upgrade your server. What is different is if you can stay with the same host and migrate to a different server. This could makes things easier than try to transfer everything to a different company. There will be a time when your website will become too big for the current server you are running. 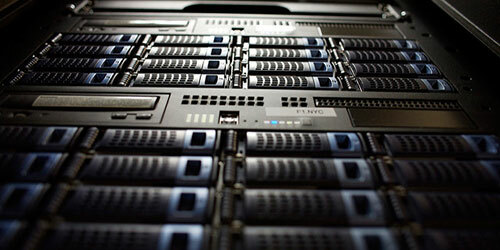 It is nice when your hosting company can offer you a VPS or dedicate server. These are just more powerful servers that give you full root control. This is an excellent perk for using shared hosting. Domain names will cost you about around $10 a year, plus another $5 if you want domain privacy. This can is just another cost on top of your hosting. Companies do offer free domains when you sign up for an entire year. This gives you one domain name free for as long as you have their web hosting service. It’s not a lot of money, but it nice to not have to worry about it. What reseller hosting is that you can lease out your server's resources to someone else. You can decide on how much disk space and bandwidth to give them and what to charge. This can be an excellent way to cut some of the cost of your web hosting costs. Usually this type of setup will require a VPS server or dedicated server. If you already have clients, this could be a feasible option. There isn't a hosting company that will give you everything. There are some that will come pretty close. Just do your homework and look at the fine print. Don't sit on it too long, as the longer you think about it, the longer it will take to get your website up.